Do you teach spelling? 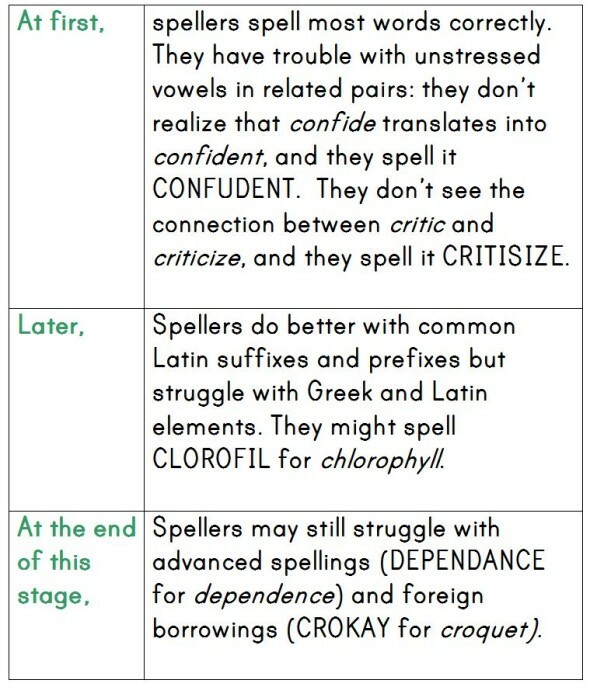 It’s important to understand the stages of spelling development. Let’s take a look! 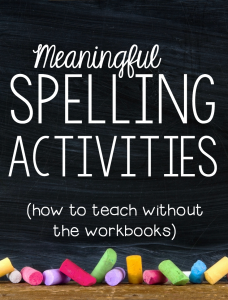 In my last post I shared a better way to teach spelling. 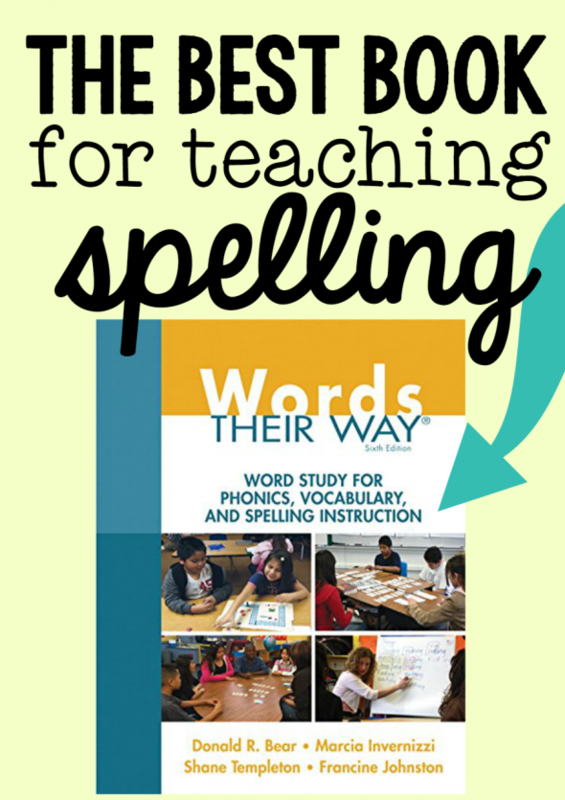 Children learn best from a developmental, research-based approach to spelling instruction. It’s called Word Study. It’s for kids from preK through high school. It’s inexpensive. It’s hands-on. It works. But before I get into the how to teach it, I have to get into the technical. I’ll try to make it as painless as possible. 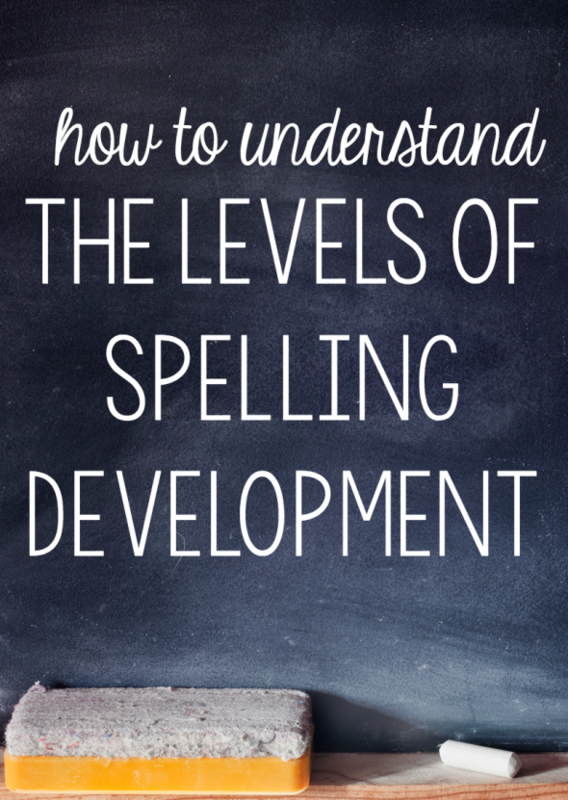 Kids learn to spell just like they learn to read: they progress through developmental stages. You know that kids learn to read at vastly different rates. One child starts chapter books in kindergarten. Another isn’t ready for chapter books until second grade. Both might be excellent readers, but they learn at different rates. 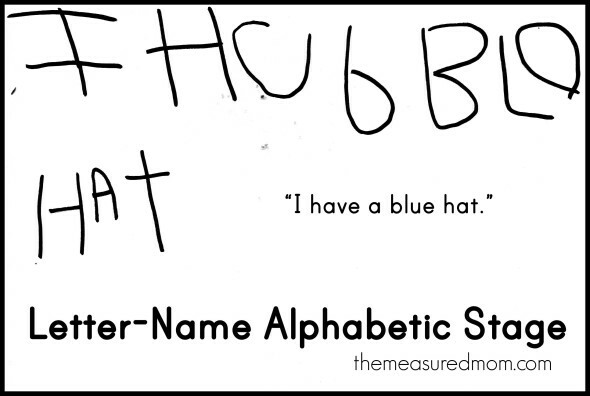 Children might recognize their alphabet, but they are just starting to write it. 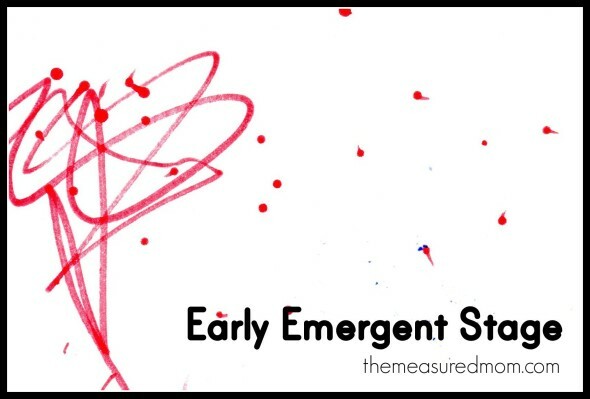 Here’s a sample from the beginning of the emergent stage. Writing looks the same as drawing. My just-turned-Three draws and scribbles, but he doesn’t write letters yet. For more detailed information about this stage, visit This Reading Mama’s post. 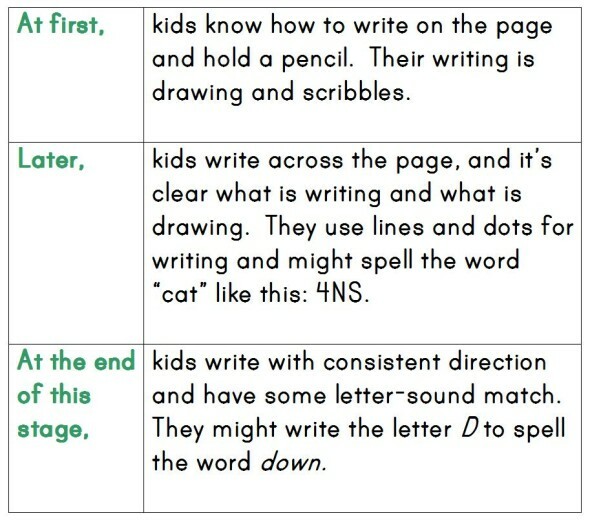 Children know their alphabet and sounds – this comes out in their writing. My four 1/2 year old is at the middle of this stage. 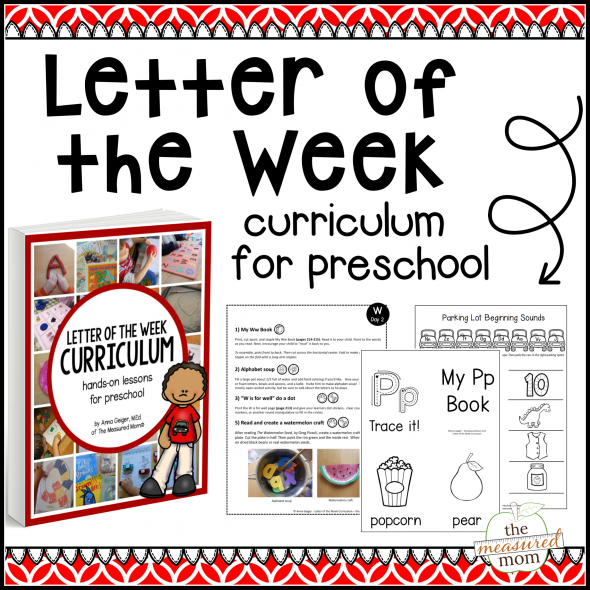 His letter and letter sound knowledge is solid, and he is putting that to work in his writing. Sometimes he writes just a single letter for a word (H for have), but other times he sounds out the whole thing (BLO for blue and HAT for hat). For more detailed information, visit This Reading Mama’s post. Children start to see patterns within words. My six-year-old (who just finished kindergarten) is at the beginning of this stage. She does well with blends (streebarres and plants) and is starting to experiment with long vowel sounds (baens for beans). For more information, see This Reading Mama’s post. Now kids start to understand how to put endings and extra syllables onto words. Understanding the meaning of words helps us spell them. That was a lot of information. Now what? If that was information overload, pin it or print it for future reference. 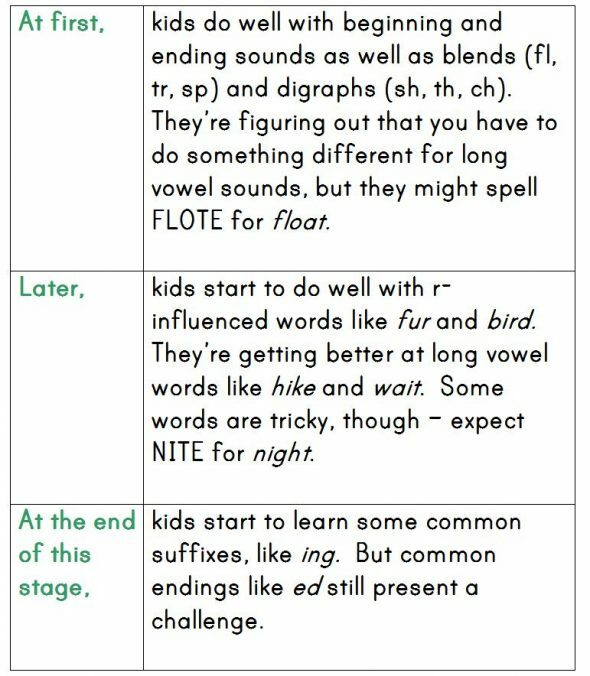 As you start becoming aware of your students’ spelling abilities, your understanding of the five stages will come together. 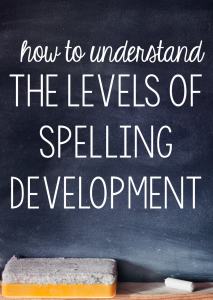 In the meantime, you’ll need to determine your students’ level of development. Words Their Way has an easy-to-use test for just that purpose. I’ll talk about it next time! An edition of this book is a must-have resource! 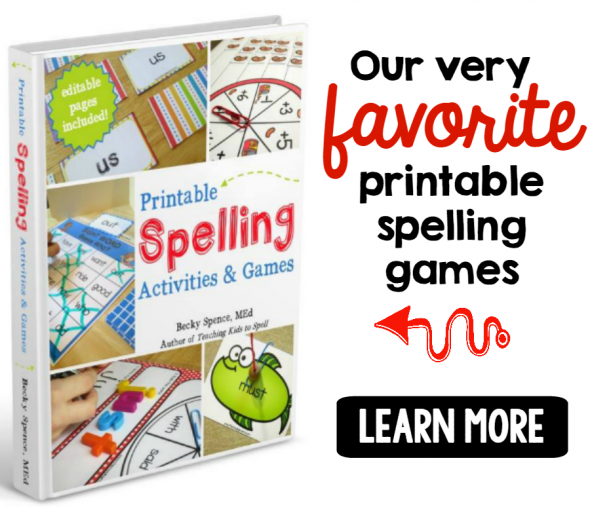 And if you’re looking for printable games that you can use with any word list, we highly recommend this ebook. Many of the games are editable! Visiting from Dollie’s link-up. I really enjoy your site! It’s also true that I just love teaching kids to read and write, and I want to get the chance to do it before their teachers do :). Really interesting. I have two who have really struggled with spelling and am thankful for spell check myself! Interestingly, my spelling has improved since I became an adult and one of the children who is now almost an adult, has improved spontaneously over time. 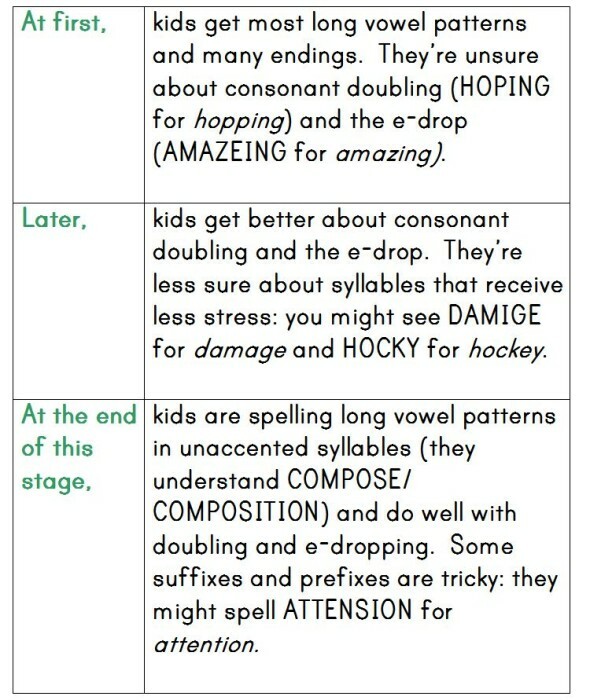 There has certainly been major improvement since formal spelling lessons finished. 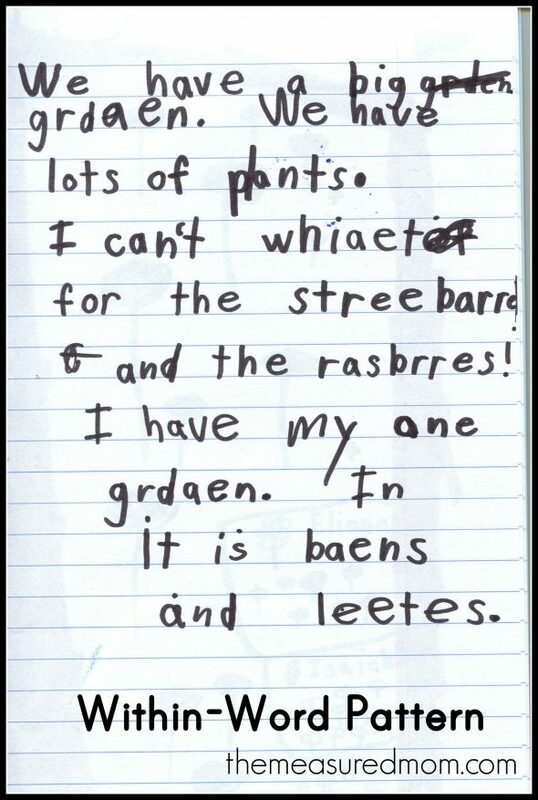 I’d say the best way to improve spelling is to do lots of reading and writing! 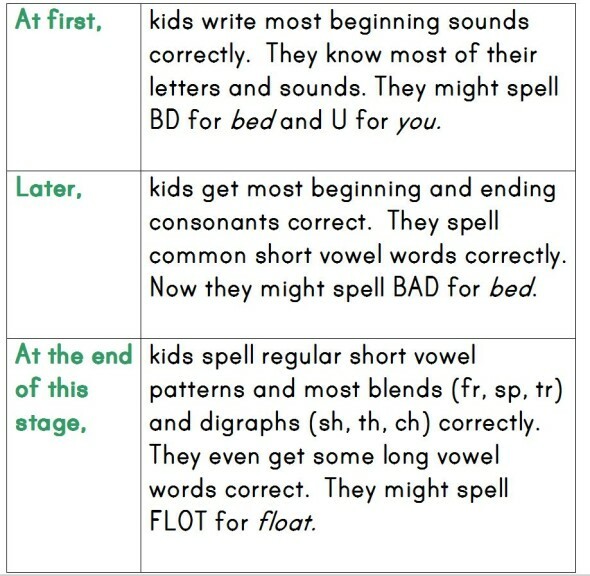 Formal spelling instruction is just a piece of the learning, and if it’s not done well it’s not a very big piece at all! Glad to hear that yours and your kids’ spelling has improved over time. 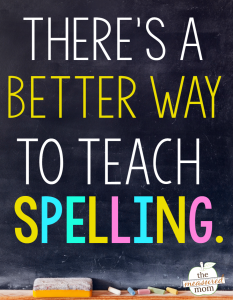 I found that the longer I taught, the WORSE my spelling got – isn’t that funny? 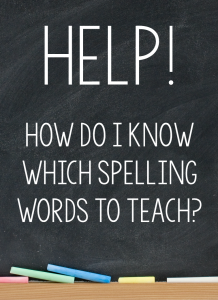 I read somewhere that teaching is the profession where one’s spelling can decline – because of reading all the incorrect spellings over and over! I’m so glad this was helpful for you. Thanks for the feature! This is really helpful! Thanks for sharing at Mom’s Library! This is great information. Just keep in mind if your child is not reaching these milestones, they may have a learning disability. My daughter is dyslexic and can barely spell past the kindergarten level. She will be going into the 6th grade. She may never be able to spell well. I have accepted this and this is how she will be. So Not all kids learn these stages. Thank you, Amy – that is very good to keep in mind. I’ll make an adjustment to my post to call attention to this. THANK YOU! I’m terrified to teach spelling because I have no idea where to start. This really helped me see where B is and which stages he’s already gone through. You’re very welcome, Becky Marie! 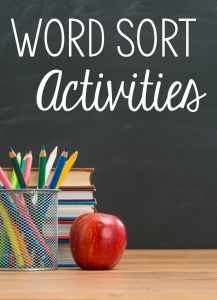 I really love Word Study — it lays it out so well (if you condense the basics, as I’ve done in this series) – and I think that after doing picture sorts to cement the distinction between sounds, their word lists are a great place to start. That’s a lot of information. Very helpful! It’s important to read to your kids so they can grasp the words and their meanings and eventually spell them and teach them how to read by themselves. The importance of reading aloud to kids can never be overstated! I notice in your sample 5 to 7 stage that the child is writing in mainly capitals. I try and separate the reading and writing of upper and lower case as it can be confusing. I only teach capitals when lower case is well established. What do you think? As am reading across am gaining a lot from you good people. I am new to this link, am sure that the is still a lot to learn from you as long as ur not going to kick me out **wink**. How i wish there are milions people like you on earth! I’m glad you’re findings things here you can use, Banele!